Located in quiet Tall Pines subdivision off Ulmerton Road between Starkey and Belcher Rd. 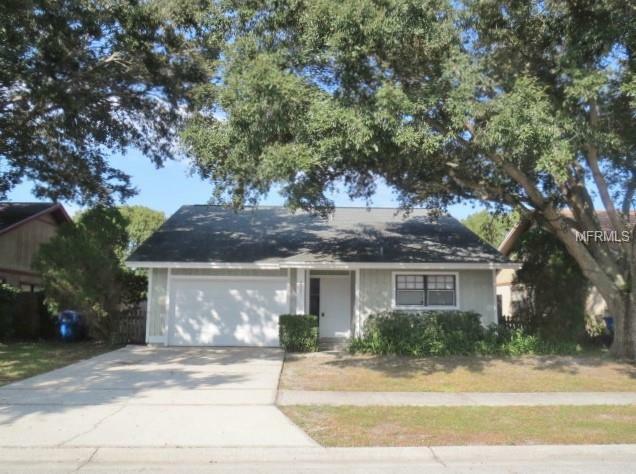 3 bedroom, 2 bath home with a over-sized 1 car garage. Features include a large open floor plan, eat in kitchen area for casual dining, living room with high ceilings, washer/dryer hookup in garage located off the kitchen, master bedroom with on-suite bath and large walk-in closet, second bedroom with sliders to the private open back yard, located on a large retention pond, sliders to the fenced in patio for outdoor grilling off the dining area. First month's rent and security required with approved background and credit check. Pet Restrictions Owner Has The Right To Approve The Pet. No Aggressive Breeds.